You are so right it's not even funny. 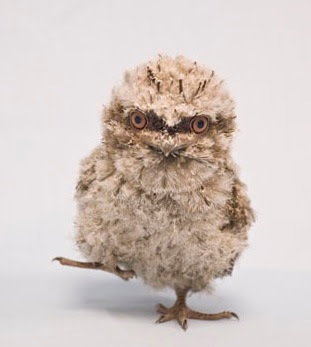 (I laugh anyway) We need cuteness, but not that! That is just torture! The gorilla looks kinda plastic, the frogmouth chicks look really fluffy, and i think that stuffed animal that the sifaka is playing on is cool. other than that, i'm going to go with the classic response of awwwwwwwwwww! Awww!!! I looooove baby animals! XD I could really use a puppy right now. i'm back! it's a bit off topic, but squirrels apparently use their tails to shade themselves. Hope winter doesn't get you too down. 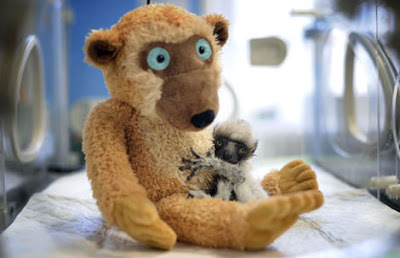 Is that sifaka in an incubator? Aww... I like the anteater. Awww!! Those cutie pies!!!!!! I love animals!!!!!!!!!!!!!!!!!!!!!!!!!! Ha ha patsee, you're right. The next post is going to be gruesome. hmmm... I sense something really disgusting/freaky coming on... YES! Patsee and Spiffy: BRING IT ON KIRSTEN!!!!!! *When I use all caps on bad, I mean the kind of bad that scars your mind forever. AWWW!!! i cant remember what it's called, but theres a pic on that site of this species of monkey with a mohawk!!! so cute! WHEN are you going to post something about Kiki 3? At least tell me what it's called!? Ok, head officially blown away. SO CUTE!!! !